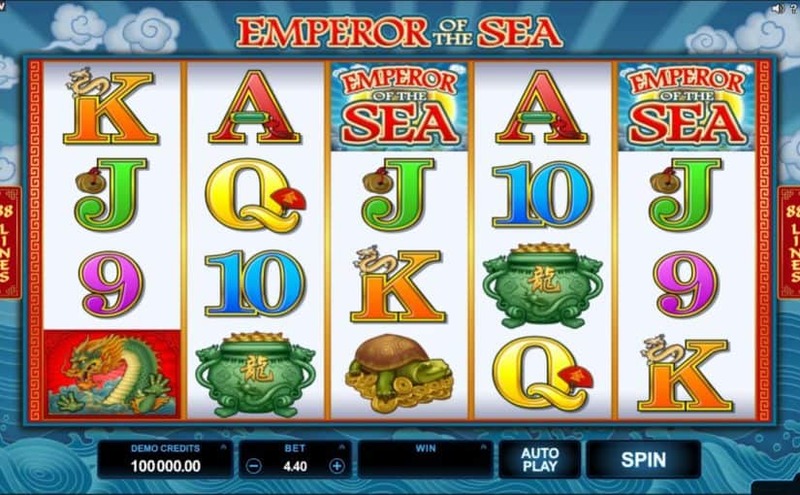 Emperor of the Sea Video Slot is a 5 reel, 88 payline online slot game powered by Microgaming. It is packed with cool features so you can enjoy an unforgettable adventure right from the get-go. The Wilds are stacked on all of the 5 reels, which means that there are added opportunities to win. Explore the sea of gold for Free Spins. Winning symbols will explode with the Rolling Reels™ feature while paving the way to multiple consecutive wins. Also, the Growing Wilds™ feature floods the reels with Wilds, pushing your payouts even higher.